Margie Stewart completed her BS in Art Education in 1972. She taught art in Durham County Schools, and later earned her MFA in Painting and Drawing from the University of North Carolina at Greensboro in 1997. Stewart moved on to teaching at the university level, focusing in graphic design. Stewart works in the Modernist and Western traditions of painting, with her greatest influences being Cezanne, Morandi and Bonnard. 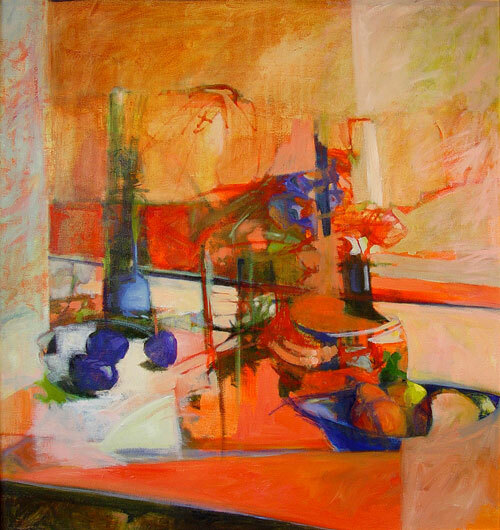 Her subjects are often recognizable and are usually energetically conveyed through abstract techniques using strong contrast and rich palettes. Stewart was a recipient of the Vermont Studio Center Artist’s Grant in 1998. Widely exhibited in solo and special exhibitions, her work has shown in venues such as Durham Art Guild, Lee Hansley Gallery, Theatre Art Galleries in High Point, NC, and Louise Jones Brown Gallery at Duke University.